Having spent some time working with the Arduino I have had the need, and opportunity to work with various methods of wireless communication. Each of these methods have their Pros and Cons. Here I will attempt to explain the methods I have worked with and where I believe each may be most useful. with the Wireless methods that connect via the Serial Protocol. I recommend using the software serial library which leaves open the USB Serial port for debugging purposes. this will add at least 4,500 bytes to your project so if your project is already tight on space you may not want to use it. Due to the low cost of the adapter and the availability of devices that use this protocol this was one of the first methods I used. 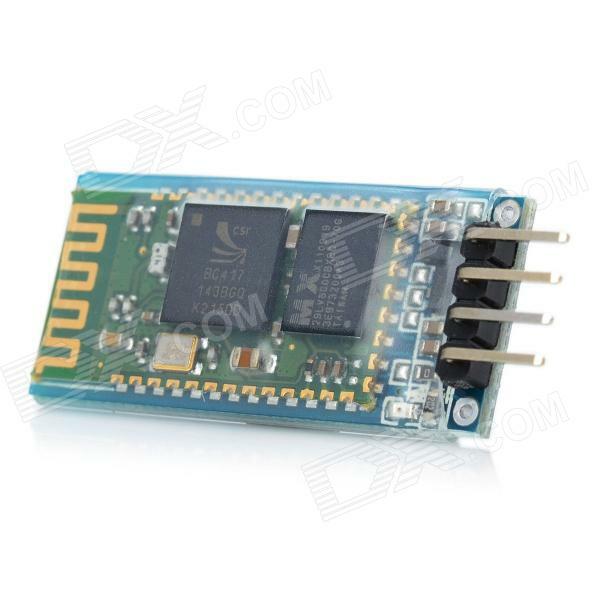 Built as a simple way of connecting the HC 05 Bluetooth module to an Arduino board the JY-MCU Bluetooth module is the simplest of the methods I have used so far to provide a wireless communication method to the Arduino. To have this module work it is quite literally as simple as adding power and connecting it to the serial pins (Digital 0 and 1 on the Arduino Uno). The HC 05 alone has a couple extra features that may be useful, but it happens to have a very low tolerance for voltages over 3.3V. the JY-MCU module has a built in voltage regulator requiring a slightly higher low end voltage of 3.6V but it allows the device to be powered by up to 6V. 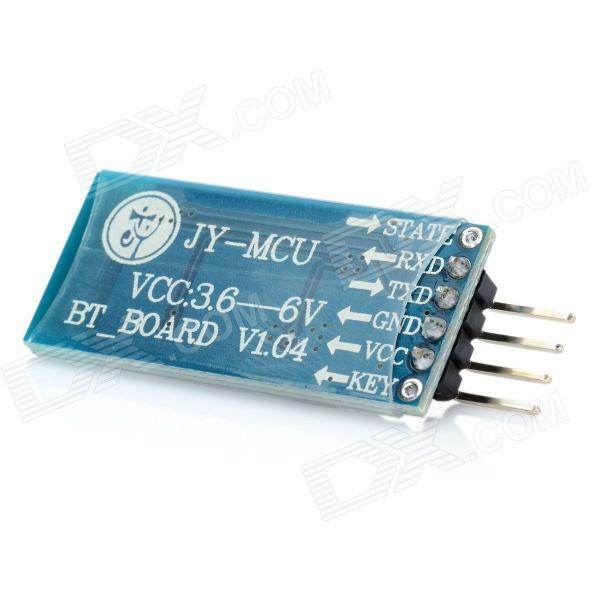 this means that you can not power the JY-MCU from the Arduino’s 3.3V line but must have it plugged into either the 5V line or one of the digital pins set as an output and on HIGH. The serial TX/RX lines are not protected from high voltages so make sure that you wire the device correctly or you may fry your module. then again at less than 9 dollars this isn’t tat big of an issue. I first used the JY-MCU module in my ArduCar project. and while it worked I was unable to get the distance I sought with the RC Car. Bringing up one of the major issues with Bluetooth. It is a short-range wireless connection (< 30′ LOS) making it impractical for many uses. You can find the JY-MCU for sale on Deal Extreme for $8.60 w/ free US Shipping, while the HC 05 can also be found on Deal Extreme for a lesser cost of $6.60 still with the free US shipping. The technical documents for the HC 05 may be found here. Arduino does such a good job describing their products that I am going to just give you the official one. 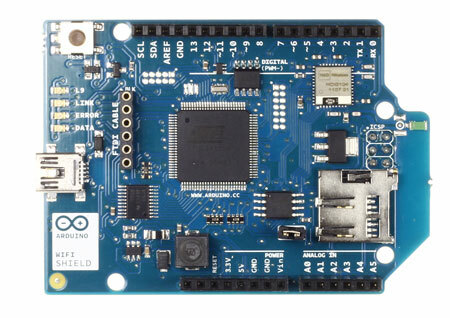 The Arduino WiFi Shield allows an Arduino board to connect to the internet using the 802.11 wireless specification (WiFi). 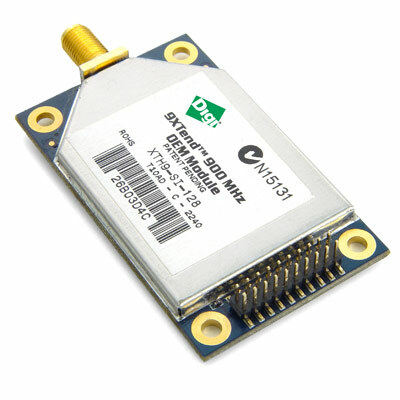 It is based on the HDG104 Wireless LAN 802.11b/g System in-Package. An Atmega 32UC3 provides a network (IP) stack capable of both TCP and UDP. Use the WiFI library to write sketches which connect to the internet using the shield. 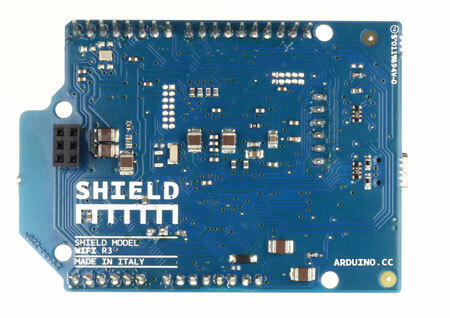 The WiFI shield connects to an Arduino board using long wire-wrap headers which extend through the shield. This keeps the pin layout intact and allows another shield to be stacked on top. Arduino communicates with both the Wifi shield’s processor and SD card using the SPI bus (through the ICSP header). This is on digital pins 11, 12, and 13 on the Uno and pins 50, 51, and 52 on the Mega. On both boards, pin 10 is used to select the HDG104 and pin 4 for the SD card. These pins cannot be used for general I/O. On the Mega, the hardware SS pin, 53, is not used to select either the HDG104 or the SD card, but it must be kept as an output or the SPI interface won’t work. 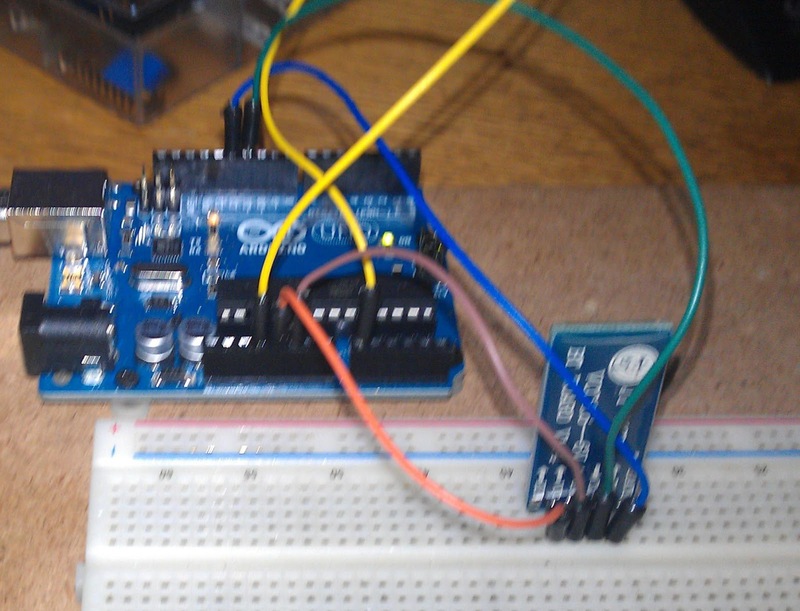 Giving your arduino project a web interface. 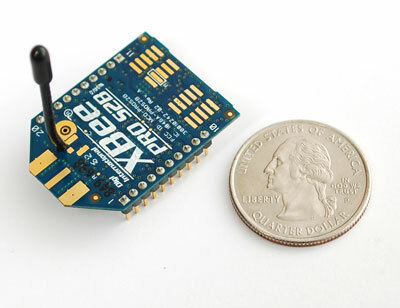 The xbee modules take a little more work to set up than any of the other methods. requiring that you first update the firmware using a FTDI cable and set the initial configurations, as well a secondary configuration through the FTDI cable or arduino to connect the module to the Xbee Network. You also can not only use one of these modules. there must always be one, and only one coordinator module. There are at least three roles that the Xbee modules may have. ZigBee networks always have a single coordinator device. This radio is responsible for forming the network, handing out addresses, and managing the other functions that define the network, secure it, and keep it healthy. A router is a full-featured ZigBee node. It can join existing networks, send information, receive information, and route information from other devices that are too far apart to communicate with the coordinator on their own. There are many situations where the hardware and full-time power of a router are excessive for what a particular radio node needs to do. They can join networks and send and receive information, and can go temporarily into a non-responsive sleep mode. End devices always need a router or the coordinator to be their parent device.